Most filter media is contained within a cartridge through which water is passed. Water filters are often used to remove the chlorine and fluoride added to city water, although they can also be used on water with an unpleasant taste or smell. Many people use filters on faucets and in pitchers to clean the water that they use for cooking and drinking. Filters are also used to clean water for irrigation and recreational purposes. In industrial settings, water filtration is an inexpensive and effective way to keep equipment from acquiring build-up of impurities that can be found in unfiltered water. Tubing, pipes, molds, and other industrial equipment through which water moves are prone to chemical build-up and scaling and thus benefit from industrial water filters. Also, in the production of sensitive products, such as pharmaceutical or food products, water filtration can sometimes be necessary to ensure product safety. There are many different kinds of water filters and water filtration methods. One of the most prominent of these methods is reverse osmosis filtration. Reverse osmosis water filtering systems are often employed in the filtration of water before it is bottled and sold to consumers. The reverse osmosis process involves passing water through a semi-permeable membrane that separates the water from impurities. Reverse osmosis filters are also used in water desalination plants and in other industrial operations. Other, less intensive water filtration systems include bag filters, cartridge filters and strainers. The extent to which a water filtering system filters the flow of water that passes through it is dictated by the demands of its application. In some cases, high levels of filtration are not necessary. Some examples of less demanding water filtration tasks include pool filtration and post-wet media blasting water purification. As a rule, water filters employed for industrial processes are higher-performance and higher-capacity than consumer water filters. These differences aside, the concept of water filtering and purification is always the same. 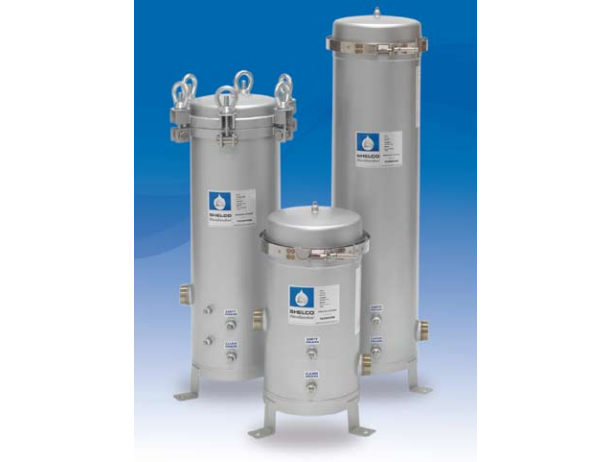 Industrial Water Filters Industrial water filters are used to remove impurities from water in industrial settings. 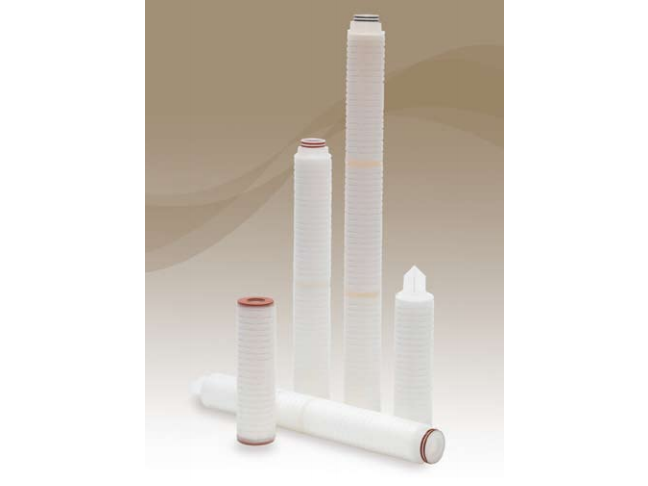 The pores in filtration media are small enough to allow water to pass through but are too small to allow for the passage of any solids that have contaminated the water.